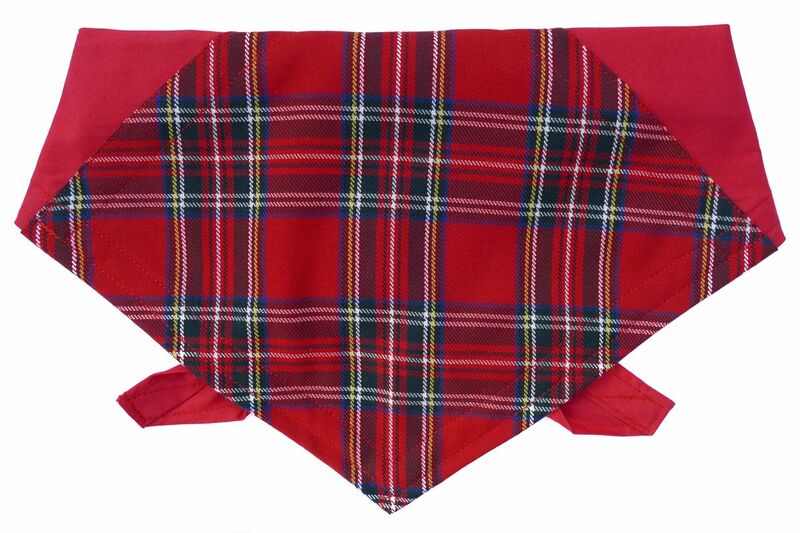 A super-smart Royal Stewart Tartan dog bandana, perfectly suited to any occasion, no matter how formal! 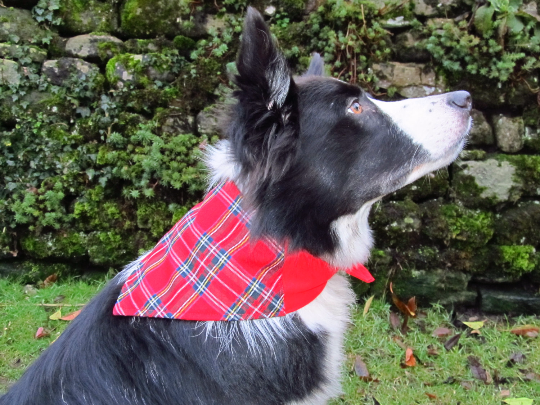 It's ideal for weddings, parties, Hogmanay, and everyday wear - your dog can join in with your event!! This is one of our unique Panel style bandanas. 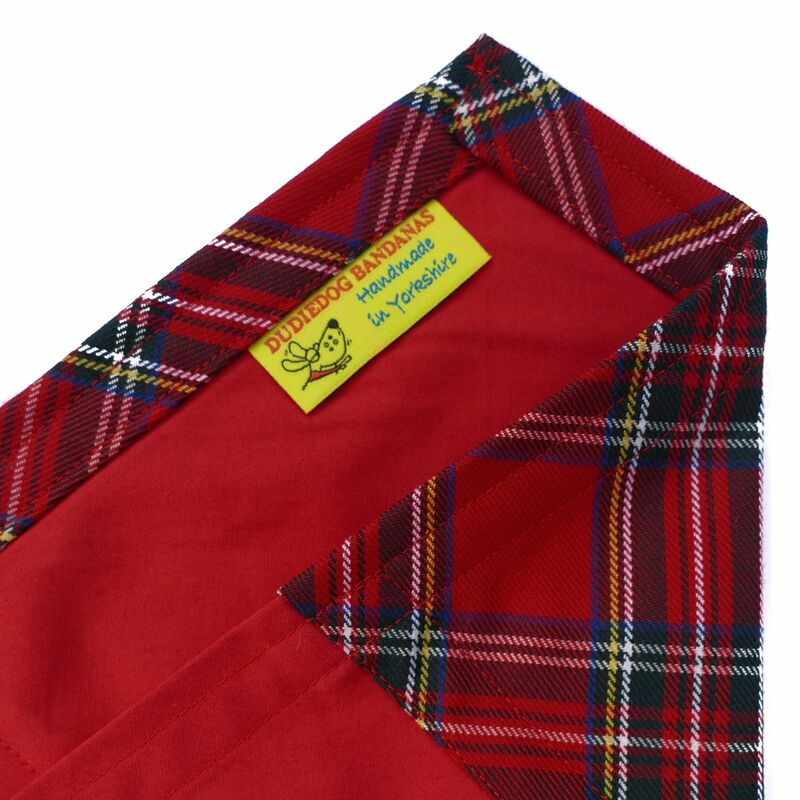 The sides/ties are made of red 100% cotton fabric, and the central panel is a beautiful red Royal Stewart tartan, which is a polyester viscose mix, making it highly serviceable and machine washable. 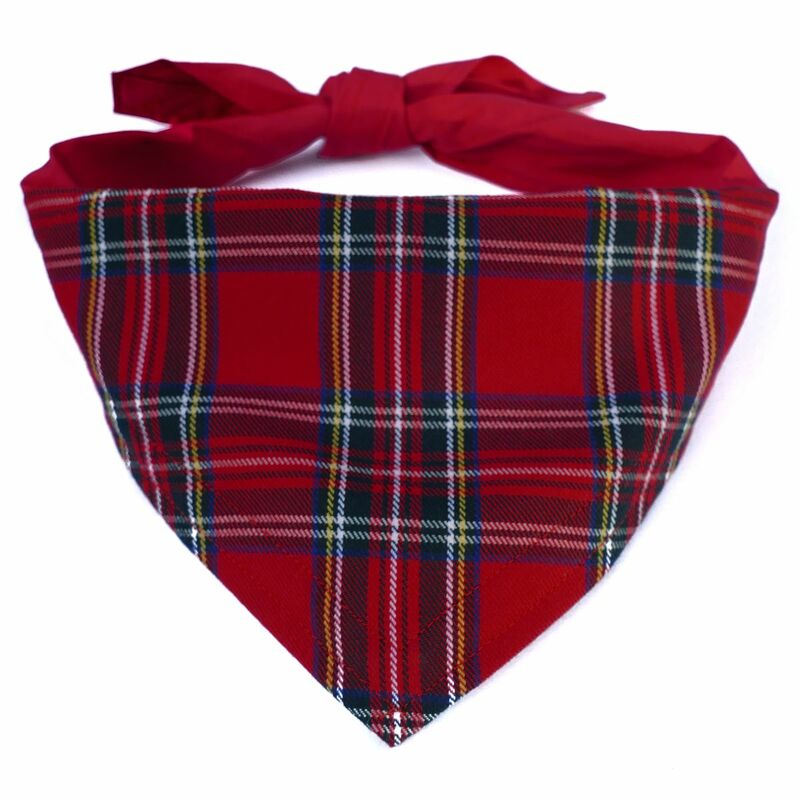 This bandana is really special and beautifully finished and top stitched.